Style Bistro is a Women’s oriented website focused on style and fashion – with about 1 Million viewers a month. As with the Hiffington Post article which included Pops Q Tool in best Mother’s Day presents, it is nice to be noticed by magazines and websites that are more oriented towards women. The PopsQTool is not specifically made for men, but most people seem to associate men with BBQ and Grilling so we usually are recognzied by male oriented magazines and websites. 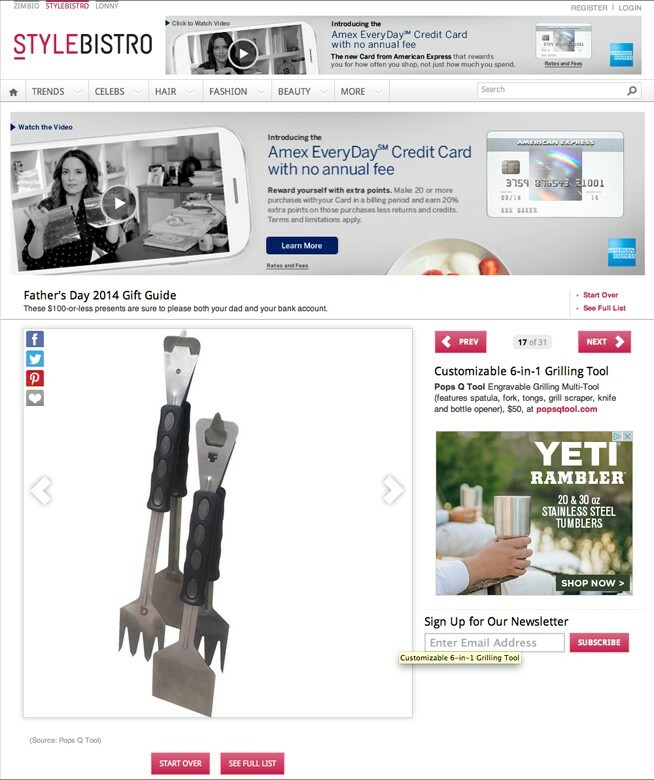 Here is what the article looked like on their website, or check it our here – Style Bistro Father’s Day 2014 Gift Guide: $100 -or-less presents are sure to please both your dad and your bank account.